Stronger winds, more frequent storms and increased flooding obviously make life more difficult for anyone who works outdoors. Workers also might potentially face increased levels of heat and pollution exposure, which could be harmful to their health. But climate change won't just potentially make existing workplace hazards worse – it will create new ones. In the Netherlands and Japan, for example, many car parks and spaces beneath buildings can store floodwater. Residential buildings have also been adapted to float on stilts if floodwaters rise. 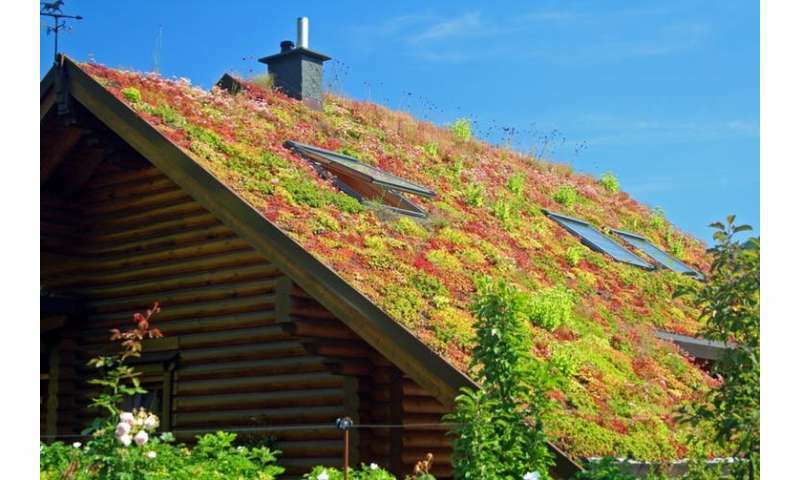 Buildings are also constructed to be more sustainable, with green roofs, living walls, and better energy efficiency to lessen environmental impact. Developing other innovative design strategies and techniques will help ensure building safety, but it's important that worker safety is kept in mind. Extreme weather also means more days' work will be lost because of poor and dangerous conditions for fishermen globally. But if more ships stay in port because of extreme weather, this will have economic consequences on anticipated revenue and incomes. To limit this, the industry needs to increase training and preparedness to operate in bad weather, as well as investing in improved technological support, such as satellite-based geographic information systems and long-range weather-forecasting. Warmer seas may also cause some fish species such as cod to move from their traditional habitats, often further from key fishing ports. This creates problems for smaller fishing vessels that aren't designed to navigate deeper and stormier waters. Better sat-nav systems are therefore essential to help these vessels operate safely. Increased levels of fish farming, meanwhile, will need to be rolled out in a way that minimises pollution caused by intensive rearing. The farming sector is at growing risk from greater flooding, not only because of extreme rainfall but because of growing soil erosion, which reduces the ground's ability to absorb water, worsening flood risk. Lowland and coastal areas in particular might be more susceptible or even completely lost to saltwater flooding. It's unlikely many of these problems can be halted, but it may be possible to develop new crops more suited to a changing climate, or pest and disease resistance. Researchers are already developing new strains of staples (such as maize) to adapt to these changes. Other new technologies, such as satellite imagery and drones can identify drought in crops, and target irrigation where it is most needed. Farmers are also being asked to change the way they use the land in order to reduce the environmental impact of agriculture. Why will a warmer climate result in increased storm intensities? Where is the evidence? These articles make bombastic statements with no basis in evidence or facts. It is as though the climate was peaceful and mild until modern man came along. Come on. We have had numerous major glacial episodes for over 5 million years with catastrophic droughts, floods, etc. The Mayans and pueblo native Americans were wiped out by droughts long before modern technology. Recently we had the great dust bowl. That was only 80-90 years ago.